So here is another edition of Wedding Wednesday! So a lot of bride recently have been asking me: Are engagement portraits important? Do I really need them? The answer is YES! And no I'm not just saying this because I'm Wedding/Portrait photographer. Not only do engagement photos capture the joy of the happy couple but it also is a memory you don't want to forget right? 2. Save the Date cards- sometimes a photo is used to personalize a save the date card and also if you get a 5x7 your friends and family get a FREE picture. 4. Slideshows- Slideshows almost always creep up during the wedding process. For the bridal shower, during the wedding reception... etc. 5. Can be framed and used at the reception for center pieces, entrance way decor or various places around the showers. The "one arm holding the camera to capture a kiss" is always cute but does it show you guys really interacting. 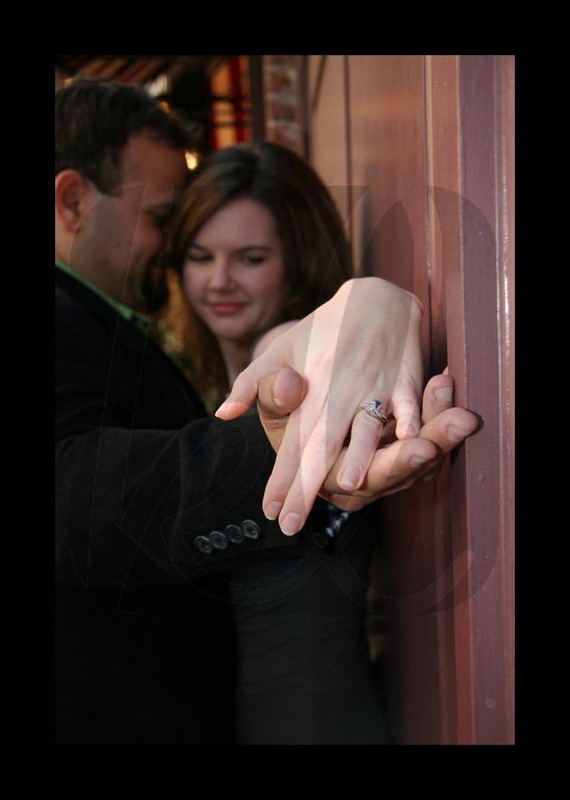 What if we did the same sort pic with your hand toward the camera showing of that amazing engagement ring of yours. The ideas can just go on and on. Before you head out with your photographer find yourself inspiration. Lastly so much energy is focused on the wedding sometimes enjoying your engagement is lost. It's a great way to celebrate it. Check in next week for more tips and tricks next Wednesday!